We have the ability to produce any type of corrugated fitting you may require. We can supply board with standard creases, perforations or slit/scores. We have very versatile machinery that allows us to produce these with no tooling costs and also no minimum order quantities. This means we are capable of not only supplying the largest blue-chip companies with high quantity orders, but also small companies which require smaller quantities but still at great prices. One of our best-selling products under this category is corrugated edge protectors. 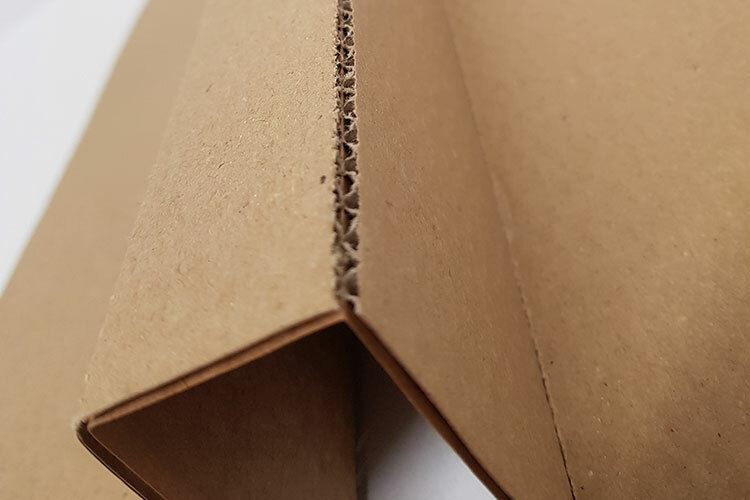 These are sheets of board cut to any size required with one crease running down the center, these are great for protecting the edge of pallets against strap and transport damage. They are not only a great form of protection but also extremely cost effective.